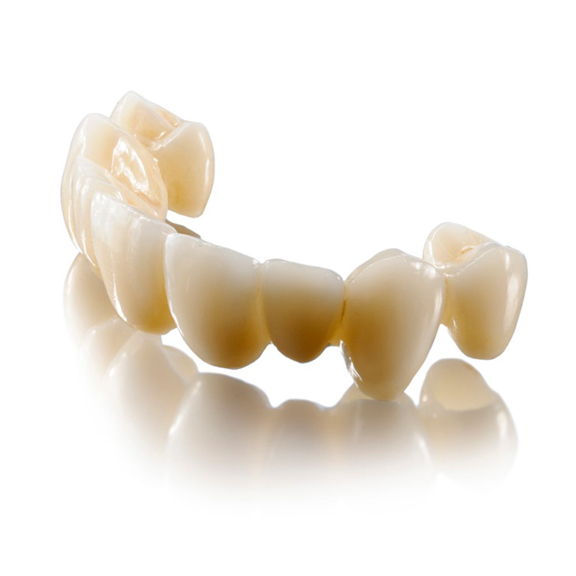 Lava™ Crowns and Bridges from 3M ESPE utilize an innovative CAD/CAM technology for producing all-ceramic crowns and bridges on a zirconium-oxide. glass-free. polycrystalline base, resulting in high-strength, reliable restorations with excellent esthetics and outstanding marginal fit. Preparations require minimal removal of tooth structure, and cementation can be accomplished using proven, conventional techniques.